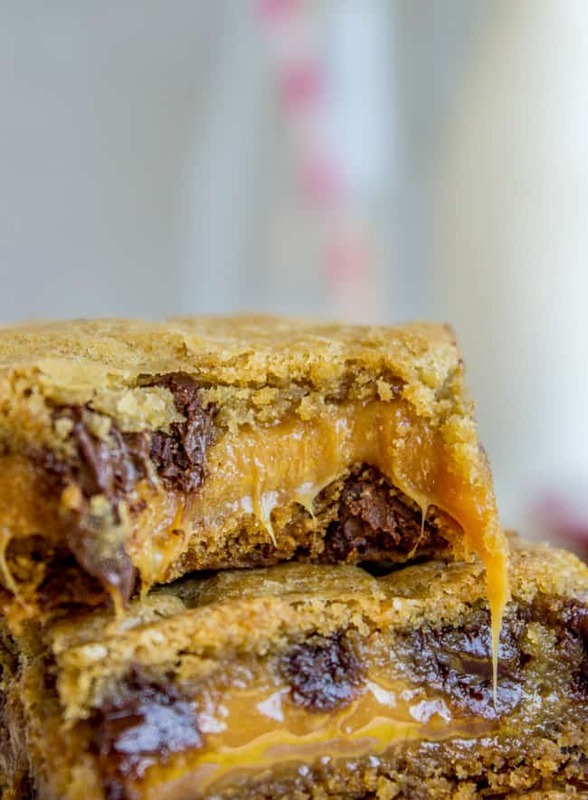 Soft gooey caramel smashed between two layers of chocolate chip cookie dough, then baked to perfection. These Carmelitas are so easy and totally irresistible! Raise your hand if you’ve done a kitchen renovation. Was it fun for you? Did you browse Pinterest for months? Did you love every minute of researching floors and countertops and light fixtures and cabinet hardware and oh my gosh what kind of faucet are you getting? I’M GOING INSANE OVER HERE GUYS. Don’t get me wrong, I love a pretty kitchen just as much as the next girl, but loving a pretty kitchen and CHOOSING a pretty kitchen are not the same thing. I just don’t have that sense of style that some people are born with. My cousin Lani does. She’s my unofficial interior designer that I bum ideas off of. She’s like, “Just find something you like Karen. Then buy it.” But when I do that my house ends up looking like the home version of What Not to Wear. Pre-makeover. Whew. I’m not cut out for this. To keep myself from actually ripping my hair out, I’ve been eating one Carmelita for ever 10 kitchen sinks investigated. I feel pretty good about it. 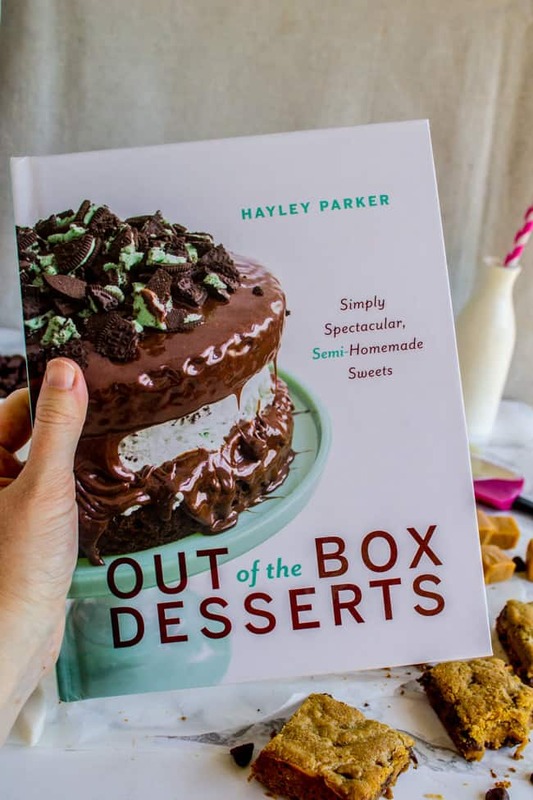 Hayley just released her first cookbook and I’m in LOVE. It’s called Out of the Box Desserts, and they are all recipes that start with a box or pre-made something. 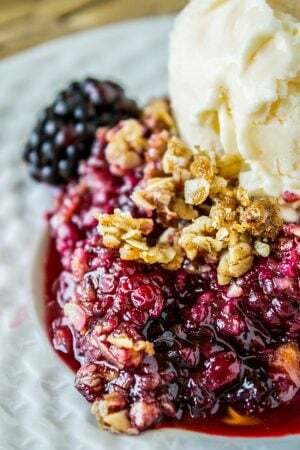 I’m a sucker for recipes like that, because they save so much time and still taste amazing! Ironically, I didn’t have a package of cookie dough on hand for this recipe, and I rarely do. 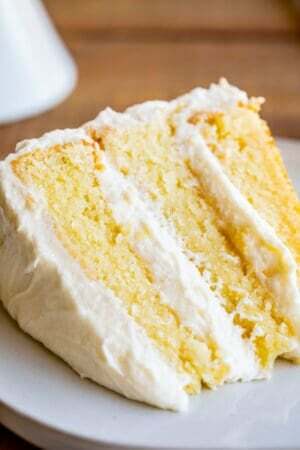 (I always have cake mixes on hand!) 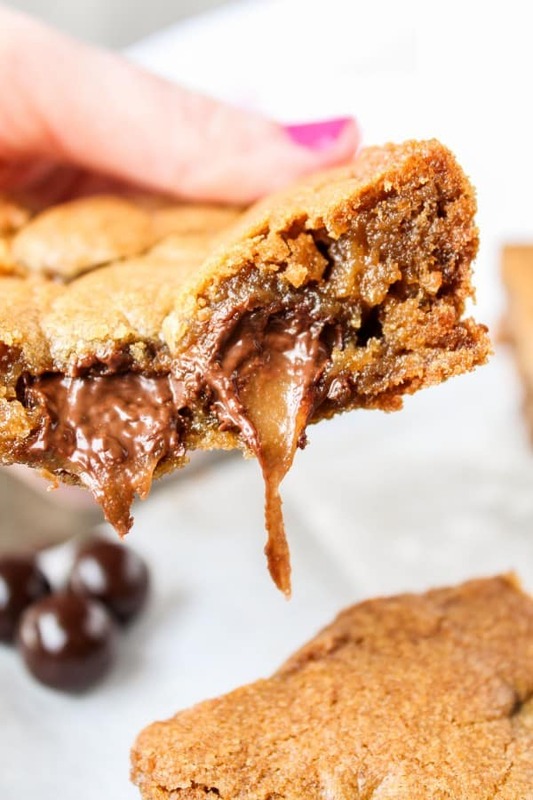 So in the recipe below I provided a basic chocolate chip cookie dough recipe that will make the right amount that you need to make these Carmelitas. Either one will work great! 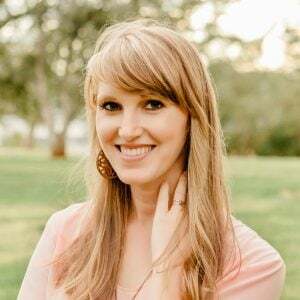 Hayley’s got tons of other awesome recipes in her book. I can’t wait to try out that cake on the cover. Doesn’t it look fabulous? Head over to Amazon if you want to buy your own copy! Attention! 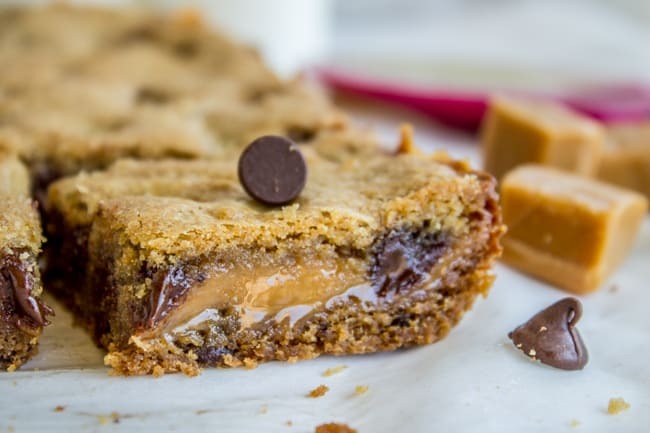 To make this recipe, you need EITHER a package of refrigerated cookie dough, OR the ingredients to make your own dough. You don't need both! 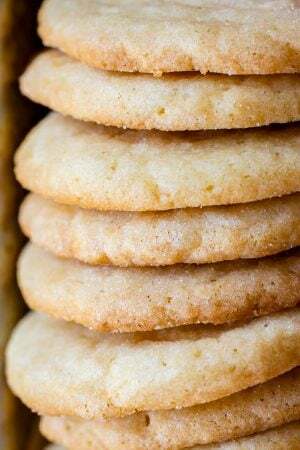 To make your own dough: Beat butter in a bowl or stand mixer until fluffy. Add white and brown sugar, beat until fluffy. Add egg and 1 yolk, and vanilla. Beat well. Add flour, baking soda, and salt. Stir until almost combined, then add chocolate chips. Mix until just combined. Preheat your oven to 350 degrees F. Line a 9x13 inch pan with foil or parchment paper. Spray with nonstick spray. Divide your cookie dough in half. Use your hands to spread (flatten, really) the dough over the bottom of the prepared pan. It will be a pretty thin layer. Bake at 350 for about 10 minutes, or until golden on top. Remove from the oven but leave the oven on. Meanwhile, add the caramels and sweetened condensed milk to a microwave safe bowl. Heat in 30 second intervals, stirring each time. When there are a few lumps left in the mixture, don't put it back in. Just keep stirring and it will smooth out. You don't want to burn it! 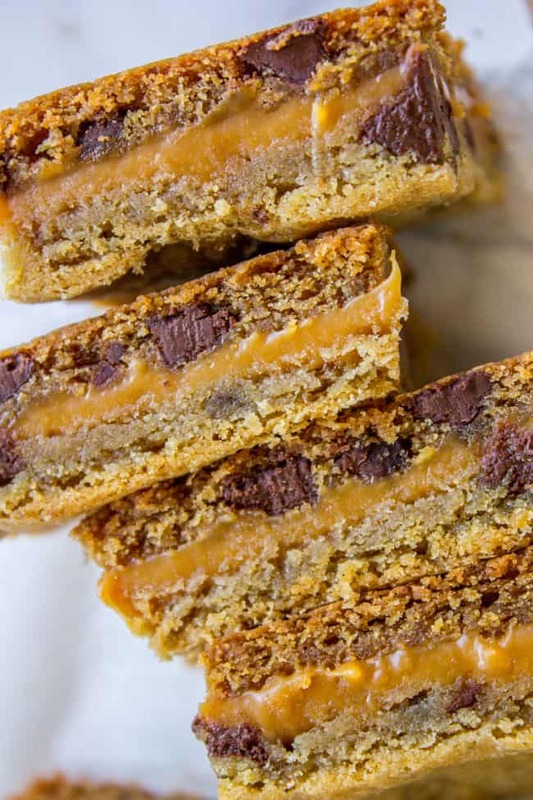 Pour the caramel over the baked layer of cookie dough, and spread evenly. 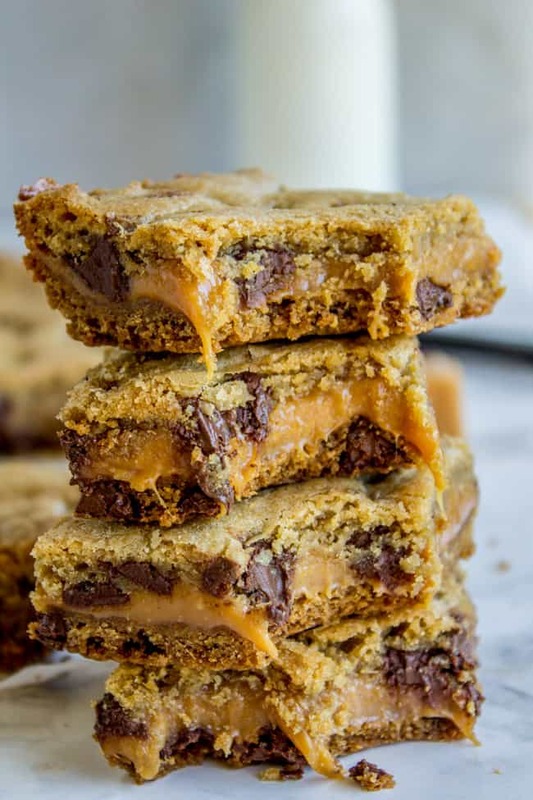 If you are using pre-made dough, use a knife to cut the remaining dough into slices, and place them over the caramel layer, pinching the space between the cookie dough together to form one cohesive piece of cookie dough. If you made your own dough, take a small chunk of dough and flatten it as much as you can with your hands. 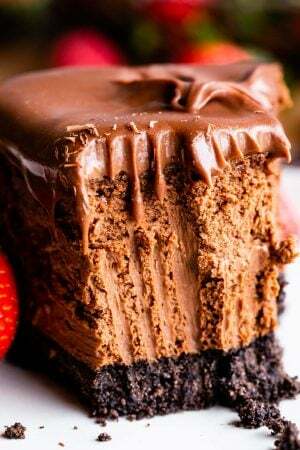 Place on top of the caramel layer. Continue with the remaining dough until the caramel is completely covered. It's okay if some caramel is peeking through, but do your best to cover it up. Bake at 350 for another 15-17 minutes, or until the top is golden brown and the center isn't wiggly. Cool completely. If you bust into it right away you will have a big caramel-y mess. Which you might be okay with. I'm not one to judge. Store on the counter or in the fridge. 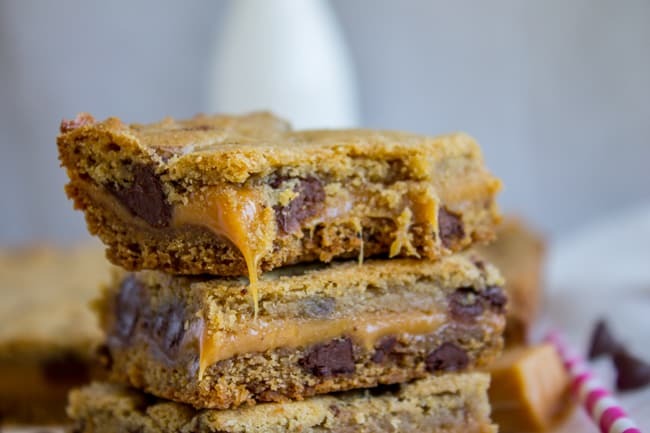 Caramely Almond Butter Bars << these are SO rich. 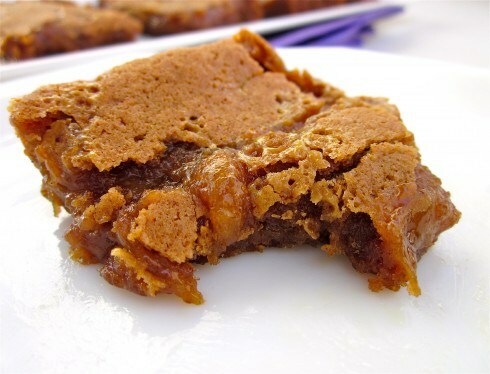 Cinnamon Caramel Swirl Bars << these are a personal fav! 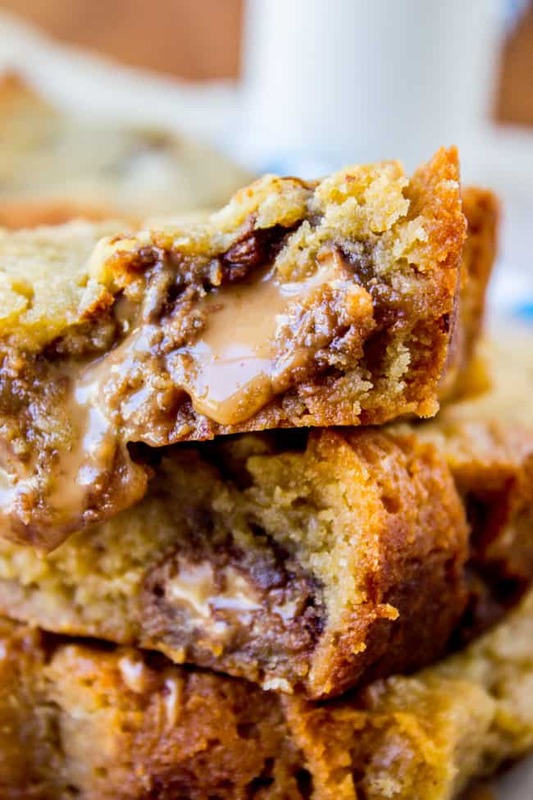 Browned Butter Blondies with Sea Salt Butterscotch Caramels: <<a classic. I haven’t done a renovation before and honestly I don’t think I could! I have noooo style sense and that is probably why 90% of our walls don’t have decor on them, lol! I wish you all the luck in the world with you kitchen! Now these carmelitas look AWESOME!!!!!! Yes yes copper FTW! You already know my feelings on this. Can I have a camelita please? This just looks so good! My oldest daughter LOVES anything with caramel. And the choosing kitchen stuff – well, I’m not so good at it either. But I’m sure your kitchen will look lovely when you’re done. These look super tasty! I love the Domestic Rebel, she just cracks me up. Personally, I love lighter colors for any room, so I myself wouldn’t go for the copper. Why don’t you take a similarly-colored object and hold it up against the counters too see how you like it? We are remodeling a farmhouse….the struggle is REAL! I feel you! I like the copper! I think it will be pretty! Karen!! OMG, these carmelitas are AWESOME! Thank you so much for using my book and recipe as a guide to make THE gooiest carmelitas in the world. And thank you for your friendship and support during the book writing process! Love you! PS your comment totally was marked as spam. weird right?? whats up wordpress?? Hey Karen, when are you going to publish a cookbook? That’s what I’m waiting for. Good luck with the kitchen. I can’t wait to see it. I feel certain it’s going to be 100% better than what you started with. I love the faucet you posted also. I, like you, would not have a store bought cookie mix. In fact, I don’t think I’ve even even purchased one! These Carmelita’s look delicious. Thanks Kris! No doubt I will be calling you nonstop over the next few weeks for advice on final decisions :) Lucky you. One year ago we ripped out our entire kitchen for a complete remodel. Two months after we started, it was finished. Never been so happy, and I hadn’t “pinned” lots of pictures. Mostly, we asked ourselves what we were looking for and came up with he following: lots of light, really easy to keep clean, simple, simple, simple! We went with brushed nickel cabinet handles and faucets, stainless sink (huge), manufactured quartz countertops (white with gray veining also used as the backsplash), gorgeous tile flooring (gray and blue veining) and the new brushed stainless appliances. The cabinets are the lightest wood finish available and have no fancy stuff that you have to clean with a Q-tip! This kitchen makes me so happy and is so light and bright. Your kitchen will make you happy, too, once you ask yourselves what is really important to you. Fancy or plain, dark or light, once you make those decisions, don’t look back and it will all come together. Promise! Good luck! Two months sounds like a pretty good deal Mary! We aren’t tearing everything out so hopefully ours won’t take too long. I like your lots of lights and simple simple advice! Your kitchen sounds beautiful. I’m so glad you’re happy with it! 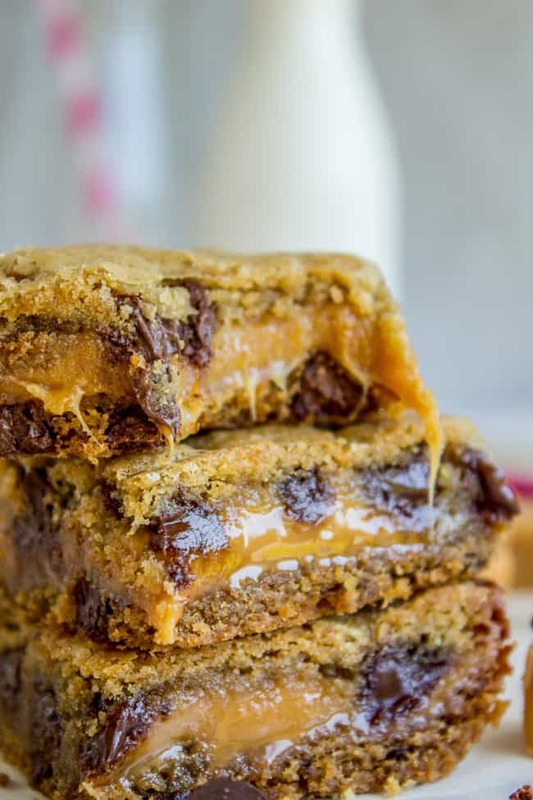 Caramel cookie heaven sounds about right Medha! Thanks friend! Ooh bathroom remodel sounds fun! 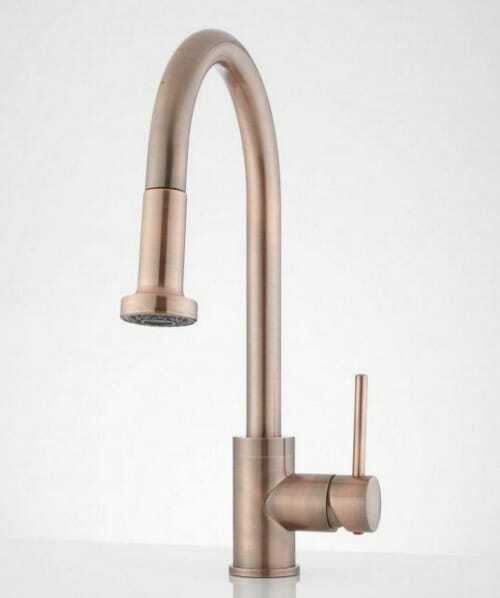 I will definitely look up oil rubbed bronze faucets, thanks for the tip Cindy! !